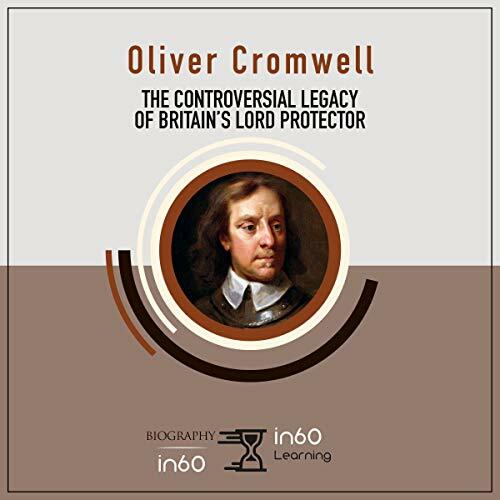 Oliver Cromwell is one of the most controversial figures in British history. He managed to dethrone the monarchy and serve Britain as its only non-royal lord protector. His unfortunate legacy, however, lies in his cruel treatment of the Irish. This brief history dives into the many dividing realities of Cromwell's life. It does not discriminate between the good and the bad but rather lays it all out so listeners can see for themselves what they think of this man who, after his funeral, was dug up and hung like a common peasant. Get smarter in just 60 minutes with in60Learning. Concise and elegantly written nonfiction books and audiobooks help you learn the core subject matter in 20 percent of the time that it takes to listen to a typical book. Life is short, so explore a multitude of fascinating historical, biographical, scientific, political, and financial topics in only an hour each.